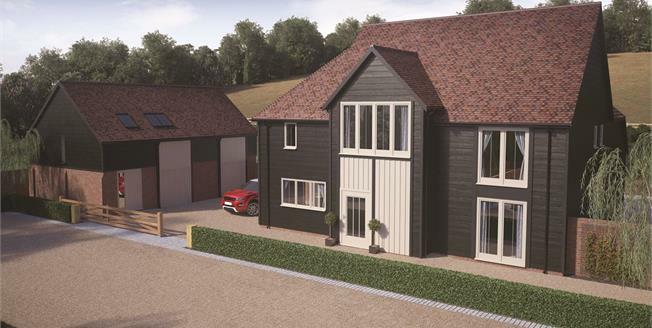 The location of Home Farm offers a supreme opportunity to reside in the outstanding natural and scenic beauty of the High Weald landscape, an area of outstanding natural beauty. Equestrian pursuits, off-road cycling, walking or simply discovering history and nature are all available right on the doorstep. Together with a 10th century church, petrol station, convenience store and award winning pub - the Kentish Hare, Bidborough parish boasts a well-rated primary school, team sport recreation grounds and a tennis court. For secondary education, parents are spoilt for choice with the high number of exceptional independent and state secondary schools available in the borough. Popular with commuters, the journey to London Charing Cross via Tonbridge station is around 45 minutes by rail and by car the recently widened A21 eases connections to the M25, M26 and M20. Whether indulging in a luxury spa break or enjoying a sumptuous meal at a select restaurant, the splendour of Royal Tunbridge Wells awaits in only a four mile journey south from Bidborough. From the Victorian feel of the Old High Street and Chapel Place, to the famous Pantiles area with its delightful Georgian façades and colonnaded walkways, retail shopping in Tunbridge Wells is an experience to be savoured. The quaint arcades, boutiques, antique and specialist shops gracefully coexist with high street retail names, pubs, bars, pavement cafés, and exclusive restaurants. If inspired by works of art then the numerous galleries showcasing in the town are certain to impress with displays of fresh works from new artists always waiting to be discovered. What’s more, visitors to Royal Tunbridge Wells on the second and fourth Saturday of every month can take in the sights and sounds of the regular farmers markets where the finest locally sourced food, drink and artisan produce will be on offer to tempt the taste buds.